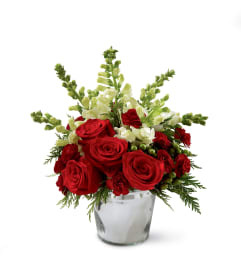 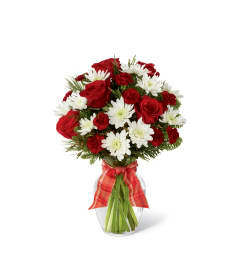 The FTD® Season's Greetings™ Bouquet is an expression of holiday elegance set to send your warmest wishes for a wonderful winter season with festive Christmas cheer and charm. 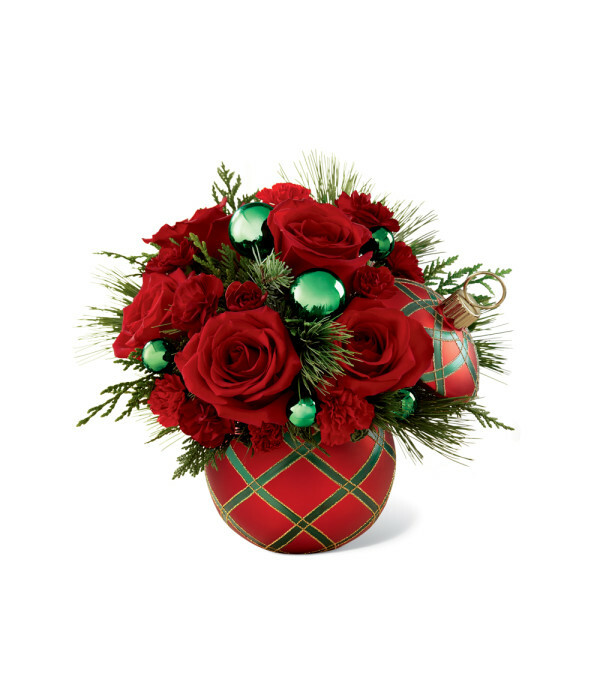 Red roses, red mini carnations, burgundy mini carnations, an assortment of lush holiday greens, and shining green glass ball accents are beautifully arranged into a fantastic holiday display. 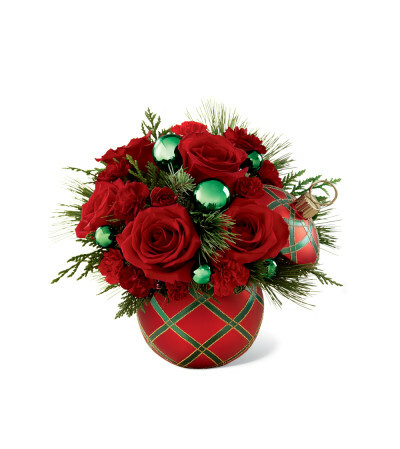 Presented in a red ornament inspired ceramic container featuring a woven gold and green pattern, with a lid to ensure this exclusive container will become a cherished holiday keepsake, this Christmas flower bouquet is the perfect gift for any of the treasured friends, family and coworkers on your list.